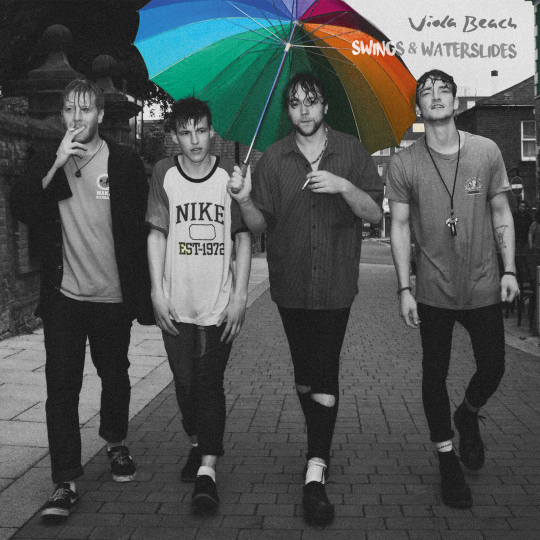 Whilst the weather from now until the weekend looks to be an absolute washout (hooray for the British summer), Warrington four-piece Viola Beach have us covered - just as long as we have our eyes closed imagining warmer climates. With their jangly guitars and distinct edge, the band's mix of enthralling melodies and infectious riffs backed with singalong vocals deliver an incredibly fun debut. With sets still to play at Reading and Leeds on the BBC Introducing Stage later this year and a first effort as buoyant as this it looks like the future has plenty to offer. Indulge in your very own take-a-away slice of summer below. Swings & Waterslides will be released 28th August.